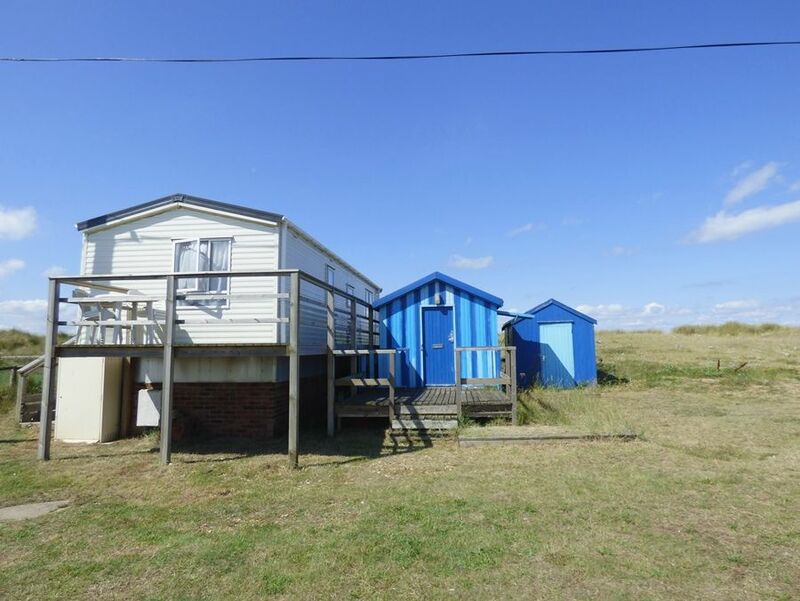 This is a true beach cabin ideal for a couple or a small family which is idyllically located on the dunes with direct access onto Heacham's South Beach. It has a light, contemporary open plan kitchen/dining/sitting area looking across the dunes, with a lovely decked area enjoying fabulous sea views. This is an ideal beach hideaway for 2 adults and up to 2 children, with a double bedroom and a small twin room, plus a shower room and an en-suite loo. This is a lovely place to stay throughout the year to explore the beauty of the Norfolk coast, with the beach safe for swimming and wind-surfing, and perfect for bird enthusiasts being close to the RSPB Reserve at Snettisham. Has the advantage of a modern heating system to ensure this is a warm and comfortable place to stay throughout the year. There are wooden steps up to the decked area to access the property. Kitchen area: fitted with an electric oven and halogen hob, a microwave and a full height fridge/freezer. There is a dining table with 4 chairs. Sitting area: has lovely views out to the sea and glazed doors leading out to the decking with uninterrupted views to the beach. There's an L-shaped comfy sofa, an armchair, electric fire, freeview digital TV. Bedroom 1: with a double bed and built-in overhead cupboards, bedside units and lamps and a wardrobe. En-suite loo and wash basin. Bedroom 2: with small twin beds (2 ft) suitable for children, built-in overhead storage units and a wardrobe. Shower room: has a walk-in electric shower, hand basin and WC. There is a table and 4 chairs on the rear decked balcony looking out to sea. Please note that the outside space is not enclosed and leads directly onto the sand dunes, so care may be required with small children and dogs. The painted beach hut to the side of the property is not included in the rental.